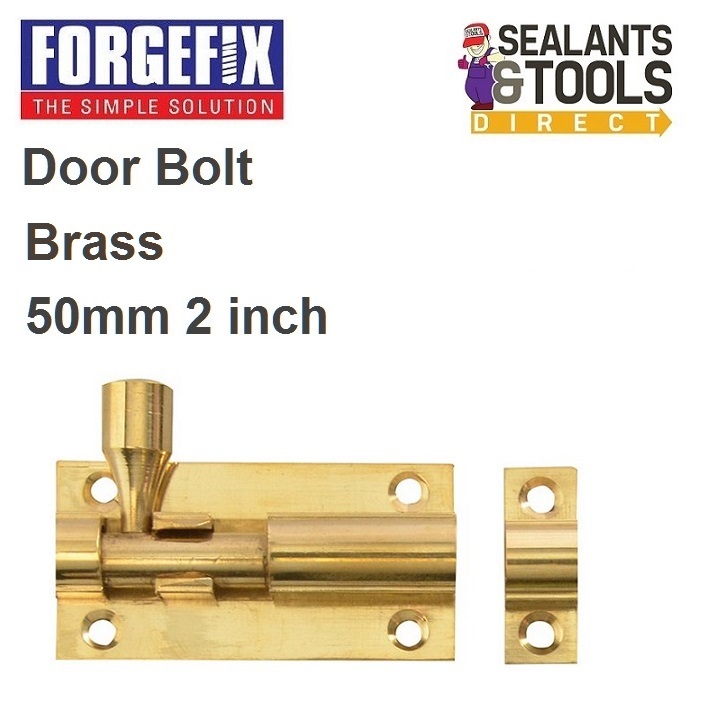 The Forgefix Forge internal Barrel Door Bolt is used for securing doors or cupboards. this option is made from Brass and supplied with fitting instructions and all fixings necessary for installation. Position the sliding Barrel bolt in the desired position and mark screw holes with a pencil. Drill holes using a 2mm drill bit and use the screws provided to fasten in place holes can also be made with a bradawl if preferred. Position the keep, and ensure that the bolt moves freely through the hole. Mark hole positions, drill and fix in place. If installing on an inward opening door Position the bolt keep onto the door frame, and ensure that the bolt moves freely through the hole. it may be necessary to remove part of the frame with a Wood Chisel.